The report of the MNZ-UNESCO Multiculturalism project was launched at the Wellington City Council on 13 August 2015. 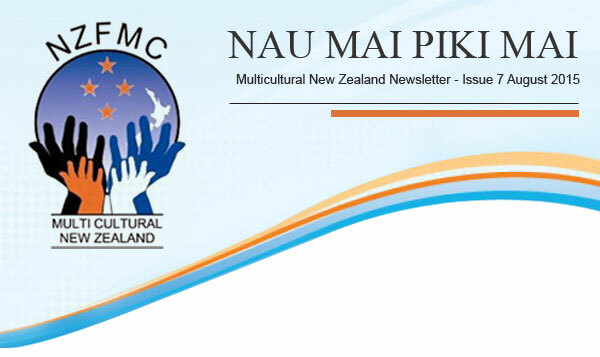 The report was commissioned by Multicultural New Zealand assisted by a grant from the New Zealand Commission for UNESCO. It is based on the outcomes of 34 workshops involving 581 participants throughout New Zealand. These workshops took place from February – June 2015. Former Race Relations Commissioner Joris de Bres conducted the workshops and wrote the report. Its purpose is to provide a starting point for developing a national action plan for multiculturalism and multilingualism in dialogue with government and community organisations. Superintendent Wallace Haumaha, Deputy Chief Executive, New Zealand Police. Ian McKinnon, Chair of the New Zealand National Commission for UNESCO. Christine Ammunson representing Dame Susan DeVoy, Race Relations Commissioner. Denis Roche MP Green Party Spokesperson for Ethnic Affairs. Original generation time 1.1803 seconds.